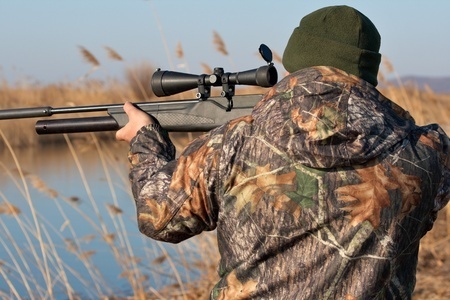 Home > Blog > What is the best pellet for your air rifle? What is the best pellet for your air rifle? Even if you are just getting started with air rifles you can’t help but notice just how many different pellet choices there are. Not only do you have different types of pellets, you also have different styles, and different brands. With all of these choices out there it can be a bit overwhelming deciding what one or ones to use with your air rifles. With all of those choices how do you know what the best ones are? Is the best one based on a certain brand or is it based on material? Luckily, for you we are here to help you come up with an answer to that exact question. Now sadly, the answer as to what pellet is going to be the best choice for your air rifle is not that simple to answer. Aside from the different sizes, shapes, and brands of pellets you also need to take into consideration what you are using your air rifle for. The best choice in terms of pellets is going to depend on what you are doing; some pellets work better for target shooting, while others are designed for hunting. One of the first things that you need to look at is the actual design of the pellet. Majority of pellets are of the diablo design, which is honestly the best design to use no matter what type of pellet you opt for. The Diablo design is a pellet that has a pinched waist with some kind of hollow skirt, similar to what you would find on a badminton birdie. The hollow skirt creates drag for the pellet so that after it leaves the gun it doesn’t flip end over end, which also aids in how accurate the pellet is. One thing that you will notice with the diablo design is the different choices in skirts, such as thickness, length, and hardness. All of these differences will affect how the pellet fires thanks to the skirt flare. The other pellet design is called a round ball. The problem with round balls is they do not work in all air rifles. In some air rifles if you shoot round balls you run the risk of damaging your air rifle’s working mechanism. Not only that round balls are not as accurate as the Diablo designed pellets. Plus, they leave a rather small wound channel if used for hunting, but they do penetrate better than the diablo pellets. Now the Diablo design is obviously the most popular, if not the best choice, in terms of pellet design, but that is not the most important factor. In order to determine what the best pellet is for your air rifle we need to further break down the pellets based on the type of shooting that you will be doing. If you are doing formal target shooting most of the competitions will be done at 10 meters. All of the air rifles used in target shooting are highly accurate, plus they are very smooth to shoot. If you are going to be using your air rifle for target shooting you want to use a pellet that is going to cut clean through the cardstock targets, so you can get the most accurate score possible. With that being said your best choice of pellet for target shooting is a wadcutter pellet. A wadcutter pellet is of the diablo design. However, with this pellet you have a pinched waist with a flat head. These pellets are actually designed to be shot at low velocities because a slower moving pellet is more accurate. The reason for that is if a pellet is close to or reaching the speed of sound the sonic wave it produces can affect the trajectory of the pellet. Now for those that are not interested in competition target shooting, in other words for those of you that simply want to go out and shoot a few rounds at a tin can or even a plastic bottle, your choices aren’t nearly as limited. If you want to do some up close plinking you can use any kind of pellet out there, but for distance shooting you will want to opt for a round nose pellet. Round-nose pellets are the best choice for long distances because they are more aerodynamic than other pellets. The more aerodynamic a pellet is the faster it will travel, including over long distances. Now when it comes to hunting there are all sorts of different factors that go air rifle enthusiast debate over, including the best type of pellet. Some shooters think that the guns that shoot the fastest are the best choice, while others swear that it is the type of pellet you are using. And since this article is focused on the best type of pellet for your air rifle we are going to focus on the best type of pellet to use when hunting. One of the first things that you need to remember with hunting, even if it is just simple pest control, is that accuracy is extremely important. With that in mind you want to opt for a pellet that is going to allow you to hit the target rather than miss the target. No matter how fast your gun fires a pellet if you miss the target the shot is not going to count. Weight plays a big role in choosing the best pellet for hunting. You want to choose a heavier pellet, so if you opt for a .177 you want to go with at least a 10 grain, while with a .22 you want 18 grains or more. Opting for the heavier pellets allows you to use a higher velocity gun while still keeping the speed of the pellet below the speed of sound barrier. By not reaching the speed of sound the trajectory is not altered, plus you are able to deliver a heavier blow. Most experienced air rifle hunters have found that the round nose pellets are the best choice for hunting if you are using a high velocity air rifle. Hollow points make a great option for hunting as well, but only work well in the higher velocity air rifles. The reason for that is the hollow point won’t expand like it does at the higher velocity, which doesn’t give you any type of advantage over round nose pellets in terms of power. What you need to keep in mind is that every air rifle is different, so your best bet is to try out different pellets, what pellets you try will depend on the type of shooting you are doing. Once you have tried out the different types you can choose the one that works best for you.